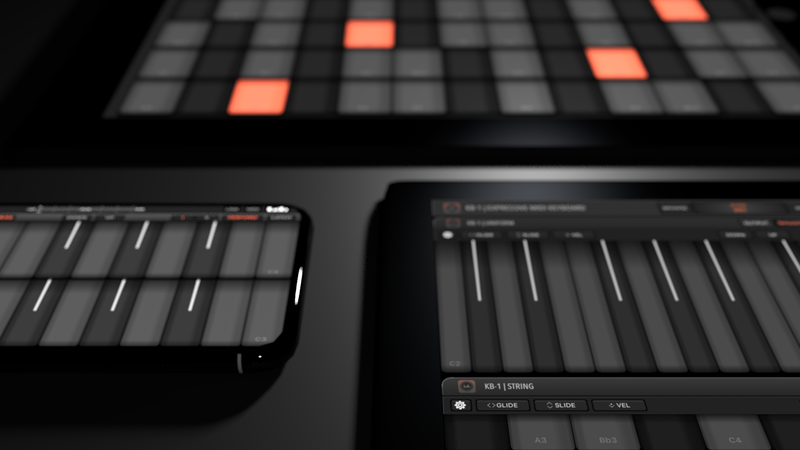 Whether you're looking for a expressive master keyboard, a performance tool or a replacement for your favourite DAW's built-in keyboard - KB-1 has you covered. 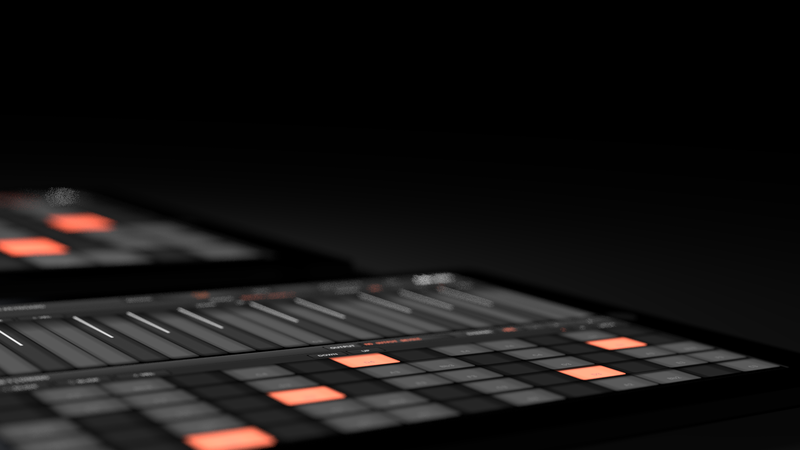 With 5 unique layouts, built in support for expressive MIDI (MPE), a solid standalone application and the ability to be loaded into many AUv3 hosts, KB-1 is a highly flexible tool that works wonders in a multitude of scenarios. 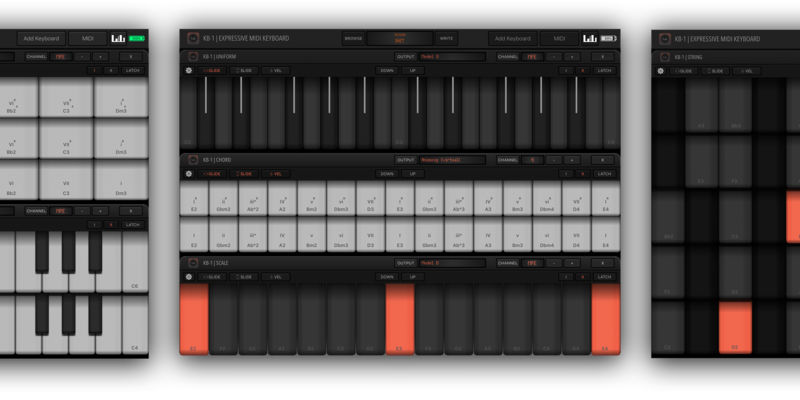 Inlcuding a total of 5 unique layouts, KB-1 comes with: Classic, Uniform, String, Scale and Chord layouts and support for 15+ scales. 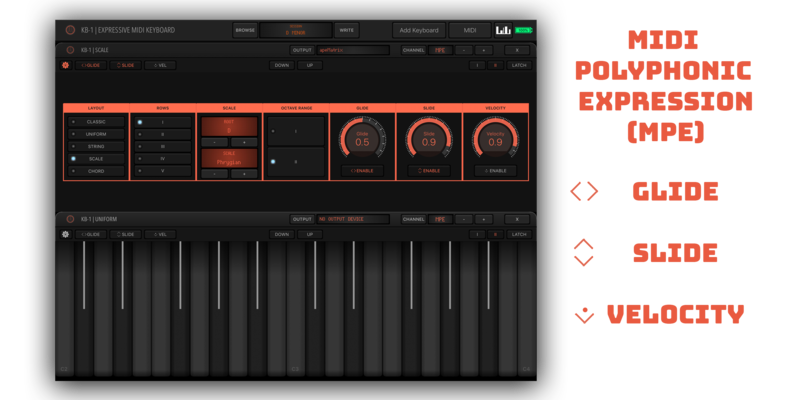 With it's AUv3 MIDI plugin and a solid standalone application, KB-1 works equally well in a number of use-cases. 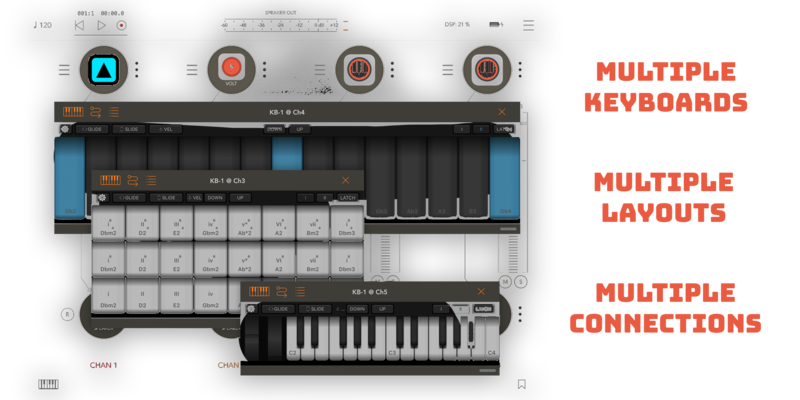 From classic keys and wheels over modern, uniform layouts to scales and chords - KB-1 does it all. 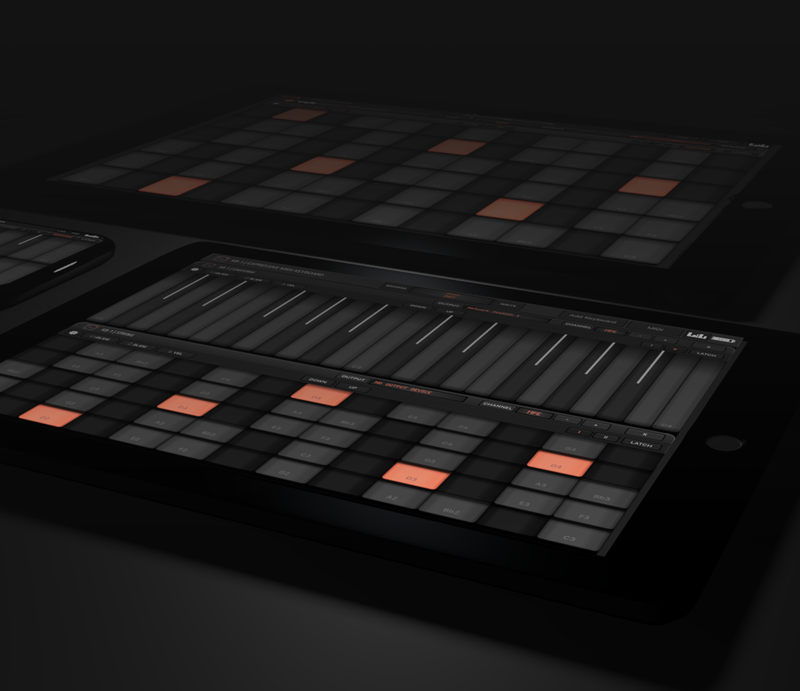 MPE is a modern addition to the MIDI specification making it possible to archive per-note expression. When playing a MPE compatible instrument, gliding across keys horizontally allows smooth bends and vibrato. 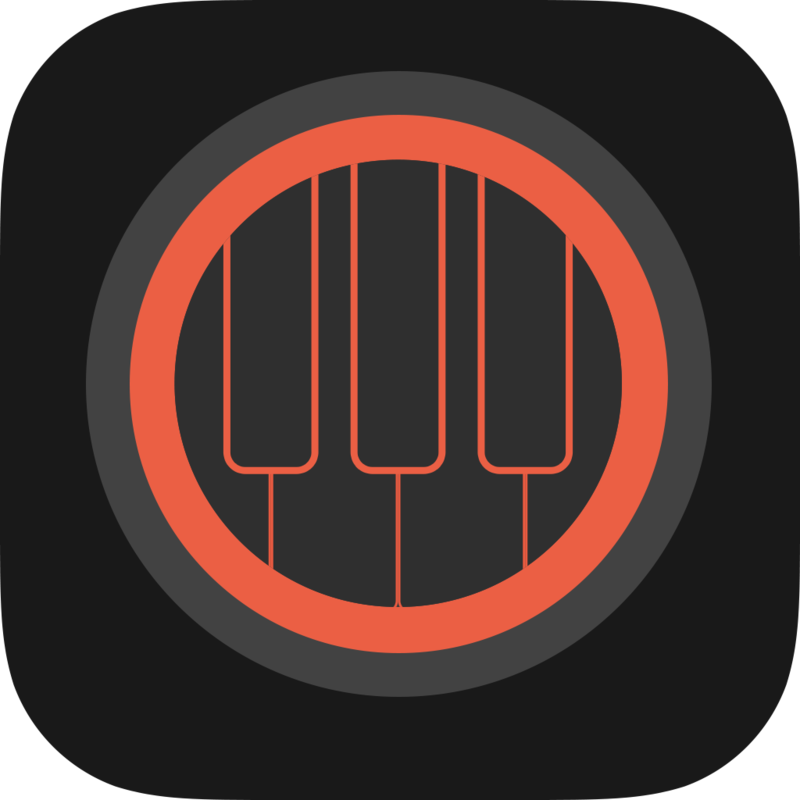 Add expression by vertically sliding across a key. 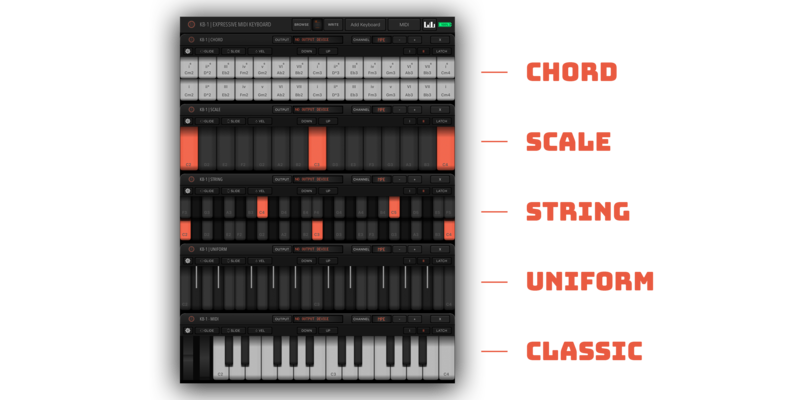 Typicall targets are brigntess, loudness, drive or similar parameters. Velocity sensitivity is emulated by mapping to y-axis of a key. Touch the lower end to play soft, touch the high end to play loud. Setup and recall sessions with up to independant 5 keyboards per session. 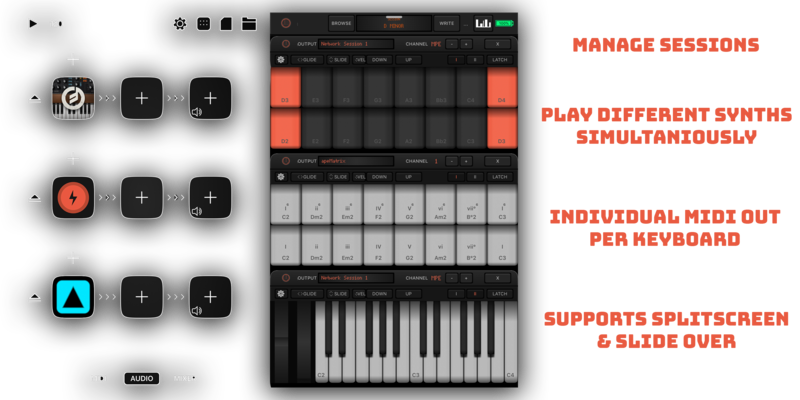 Individual MIDI outputs per keyboard with Inter-App, USB, BLE and Wireless MIDI support. Landscape, portrait, Slide-over and Splitscreen support.